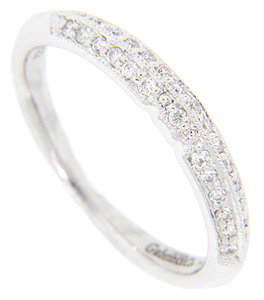 Approximately .23 carats total weight of diamonds is set in this 14K white gold antique style wedding band. The double row of diamonds covers the top 1/3 of the circumference of the ring. A slightly ridge separates the rows of diamonds. 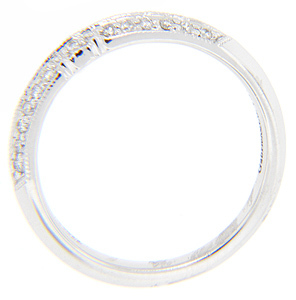 The ring measures 3.4mm in width. Size: 7. We can re-size.